Yes, I am still around- just super busy. My computer crashed in May and had to buy a new one and of course I could not find my Roxio program. Good thing was I was turned on to a free audio program. My finding records has somewhat slowed down. My wife, dog and I went on a trip to Colorado and my wife let me hit some record stores on the way. I was really disappointed in the Denver stores...they used to be amazing. Favorites on the way was the Love Garden in Kansas, Independent Records in Colorado Springs, Shangri La and Goner Records in Memphis. The 45 for tonight is one I have been searching years for and it was fitting I found it in Memphis. 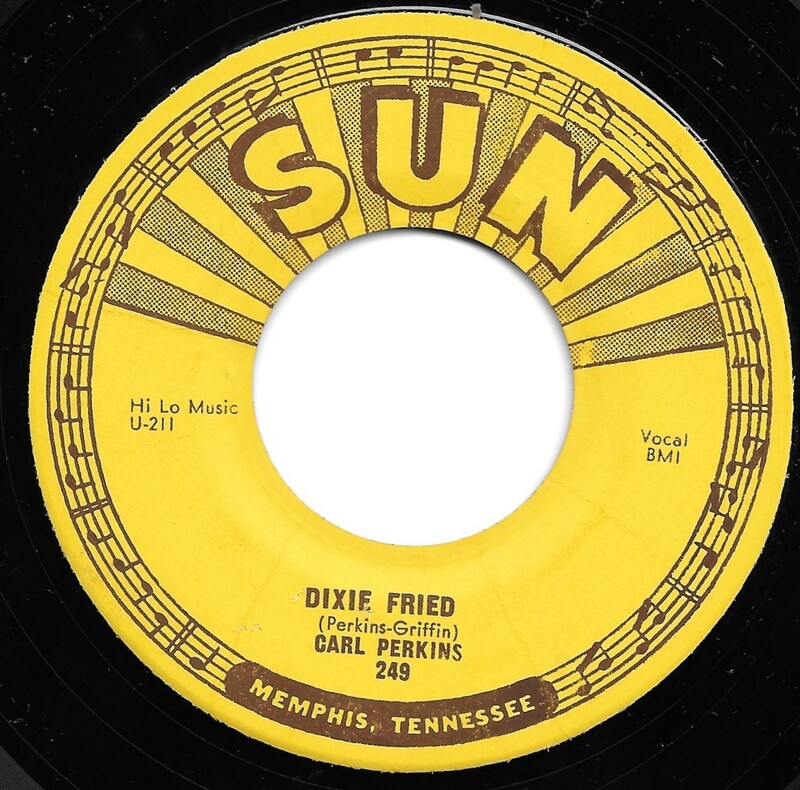 I see tons of Carl Perkins 45's but somehow this one has eluded me. Carl Perkins at his best. The Rockabilly call to arms, and a raging drunken melee. Punk Rock before punk rock.